Where are all the monarch butterflies this year? Seen any monarch butterflies in your garden or park this year? No? You’re not alone. Early July is normally when residents of eastern Canada begin to spot the familiar black and orange wings of Monarch butterflies. But sightings have been rare this year, and that has scientists worried. Entomologists at the Montréal Insectarium / Space for Life estimate there’s been a 90 per cent drop in the monarch population in Eastern Canada. That’s based on their own research as well as from tallies from citizen monarch monitoring initiatives. Across the continent, butterfly enthusiasts are also noticing a big drop in numbers. And while there seems to be some disagreement among experts about what is going wrong, most agree that climate change and habitat loss are factors. 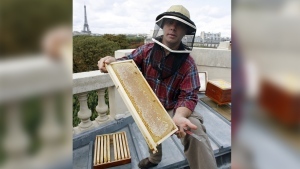 “The situation right now is dire,” Maxim Larrivée, head of entomological collections and research at the Montréal Insectarium / Space for Life tells CTV Montreal. Larrivée explains that monarchs migrate 4,000 kilometres every year to spend the winter in the mountains of central Mexico, where they cluster in Oyamel fir trees. In the spring they gradually move northwards through the United States and back into Canada, stopping in Texas, where they will lay their eggs on milkweed plants. What’s most fascinating about this migration is that it actually takes place over three of four generations of butterflies, which somehow inherit the instinct to know where to fly, says Larrivée. “This exceptional capacity for these monarchs from here is that have actually never been to Mexico, because they are the offspring of their parents that were in Mexico and then they migrate back to a place where they've never been,” he says. The problem of declining butterfly populations started years ago with urban sprawl, but were worsened two years ago during a major drought in the U.S. That caused flowers to empty of nectar, and milkweed plants to die off, leading to the deaths of thousands of the winged insects. The monarchs’ return to Mexico in the fall was no easier. During the 2012-2013 winter, the World Wildlife Fund sponsored a butterfly census in Mexico’s Monarch Butterfly Biosphere Reserve, where most North American monarchs spend the winter. They found that the insects’ hibernation area covered just 1.19 hectares of forest -- 60 per cent less than the previous year's area, and well below the average of 7 hectares. That was the lowest level since record-keeping began 20 years ago, and the third-straight year of declines. Researchers say there are now only one-fifteenth as many butterflies as there were in 1997, offering further evidence that their decline is a long-term trend and not just the result of seasonal events. While the drought has taken most of the blame for the recent drop in numbers, there are also concerns herbicides used on soybean and corn fields in the U.S. are also killing off monarchs, since the chemicals have led to the die-off of milkweed plants. 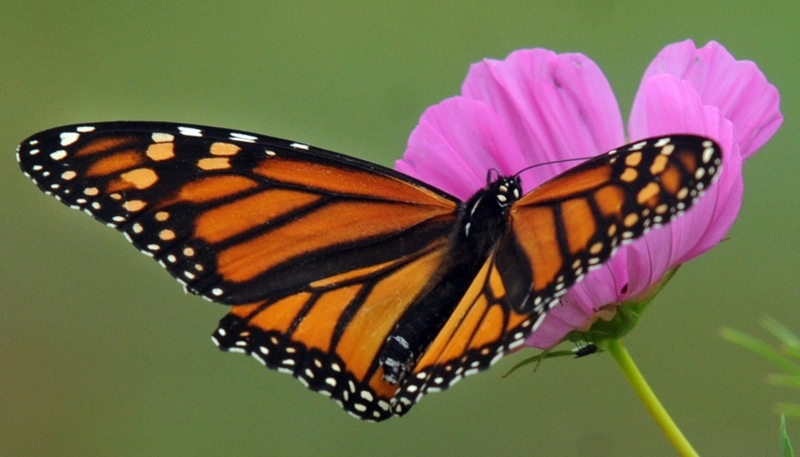 Then, this year, Ontario and Quebec saw spring seasons that were marked by record rainfalls and cold snaps, making it even harder for monarchs to reproduce as they headed back north. “They encountered the coldest and wettest spring on record since we've been following the migration. And it really gave them a huge hit,” he says. Larrivée says homeowners in Canada can try to encourage the return of the monarch by building a butterfly oasis in their backyards that would include milkweed for caterpillars to feed on, and flowers such as a butterfly bush, or Buddlea, for adult monarchs to drink from. You can also share your observations of monarchs on eButterfly.ca, a database that is helping researchers' document changes to the number and distribution of butterflies.